Pour 2 ounces of bourbon into each of your temp-tations 16 ounce cafe mugs. 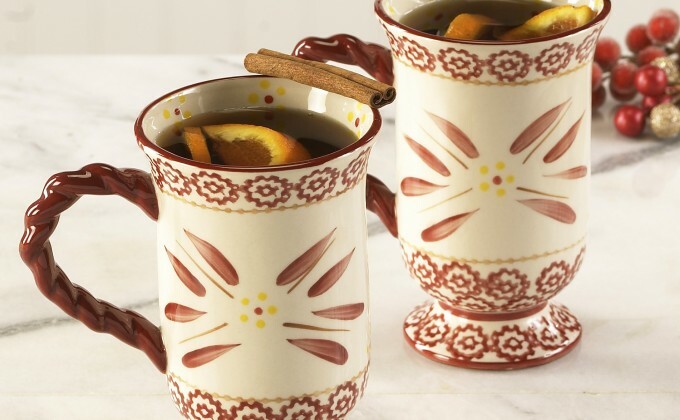 To each mug, add in 1/2 teaspoon of sugar, 2 cloves, 1 cinnamon stick and 2 slices of orange. Pour 1 1/2 cups of boiling water into each mug. Mix well. Serve immediately.